LOOKING FOR THE PERFECT SOLUTION FOR YOUR COMPANY? 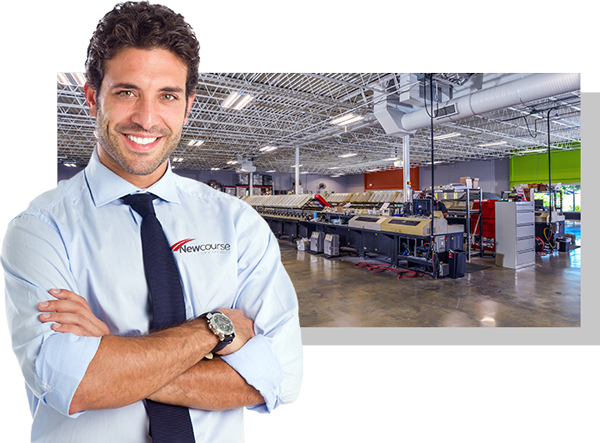 With decades of experience in financial printing, we want our clients to benefit from our past, present and future expertise. We offer fully customizable check books, allowing you to promote specific funds according to your needs. Personalized coupon books are a great way to reduce your billing expenses and achieve timely collections. We provide our clients with the needed resources, support and tools to address today's compliance needs. Established in January of 2005, Newcourse Communications Inc. is a full-service data-processing, print-&-mail provider located in Nashville, Tennessee. Newcourse specializes in custom jobs for the mortgage, automobile, credit union and banking industries by delivering custom programming, creative services and production solutions for clients who are on various servicing software systems including BKFS, FICS, Megasys, and in-house platforms.